Disclaimer: © 2019 Audi Canada. *Limited time lease and finance offer available through Audi Finance on approved credit, on stock#51743 2018 Audi Q5 2.0T Komfort quattro 7sp S Tronic. Dealer may sell for less. European models shown with optional equipment that may not be available at the time of purchase. Offer ends February 28th, 2019 and is subject to change or cancellation without notice. Dealer order/trade may be necessary. 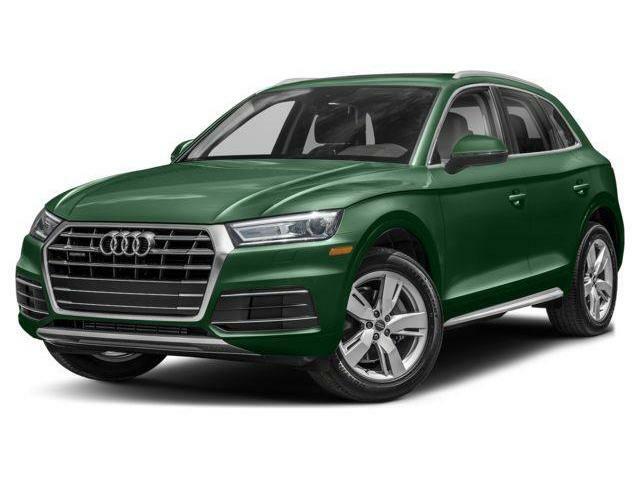 Lease example: 2018 Audi Q5 2.0T Komfort quattro 7sp S Tronic (STOCK#51743) with base MSRP of $45,840 (including freight and PDI of $0), at 3.9% APR for 48 months with $747 tax-in monthly payment. Lease example based on vehicle price of $47,022 (after $1,834 discount applied). $0 down payment, a security deposit of $750, and a first-month payment of $747 are due at lease inception. PPSA, license, insurance, registration, options, duties, any dealer or other charges and other applicable taxes are extra. See dealer for details. Total lease obligation: $35,891 (excluding applicable taxes and fees). Kilometre allowance of 20,000 kms/year; charge of $0.25/km for excess kilometres. Finance example: 2018 Audi Q5 2.0T Komfort quattro 7sp S Tronic (STOCK#51743) with base MSRP of $45,840, at 2.9% APR for 5 years, with monthly payments of $953 after $1,833 dealer discount. A down payment of $0 or equivalent trade-in is due at signing. PPSA, license, insurance, registration, options, duties any dealer or other charges and applicable taxes are extra. See dealer for details. Cost of borrowing is $4,014 for a total obligation of $57,207. Additional fees and levies apply as follows: $100 air conditioning tax, $17 tire levy, $10 OMVIC fee, $51 PPSA fee and $499 dealer admin fee. Disclaimer: © 2019 Audi Canada. *Limited time lease and finance offer available through Audi Finance on approved credit, on stock#51723 2018 Audi Q5 2.0T Komfort quattro 7sp S Tronic. Dealer may sell for less. European models shown with optional equipment that may not be available at the time of purchase. Offer ends February 28th, 2019 and is subject to change or cancellation without notice. Dealer order/trade may be necessary. Lease example: 2018 Audi Q5 2.0T Komfort quattro 7sp S Tronic (STOCK#51723) with base MSRP of $45,840 (including freight and PDI of $0), at 3.9% APR for 48 months with $755 tax-in monthly payment. Lease example based on vehicle price of $47,022 (after $1,834 discount applied). $0 down payment, a security deposit of $760, and a first-month payment of $755 are due at lease inception. PPSA, license, insurance, registration, options, duties, any dealer or other charges and other applicable taxes are extra. See dealer for details. Total lease obligation: $36,298 (excluding applicable taxes and fees). Kilometre allowance of 20,000 kms/year; charge of $0.25/km for excess kilometres. Finance example: 2018 Audi Q5 2.0T Komfort quattro 7sp S Tronic (STOCK#51723) with base MSRP of $45,840, at 2.9% APR for 5 years, with monthly payments of $953 after $1,833 dealer discount. A down payment of $0 or equivalent trade-in is due at signing. PPSA, license, insurance, registration, options, duties any dealer or other charges and applicable taxes are extra. See dealer for details. Cost of borrowing is $4,014 for a total obligation of $57,207. Additional fees and levies apply as follows: $100 air conditioning tax, $17 tire levy, $10 OMVIC fee, $51 PPSA fee and $499 dealer admin fee. Disclaimer: © 2019 Audi Canada. *Limited time lease and finance offer available through Audi Finance on approved credit, on stock#51380 2018 Audi A7 3.0T Progressiv quattro 8sp Tiptronic. Dealer may sell for less. European models shown with optional equipment that may not be available at the time of purchase. Offer ends February 28th, 2019 and is subject to change or cancellation without notice. Dealer order/trade may be necessary. 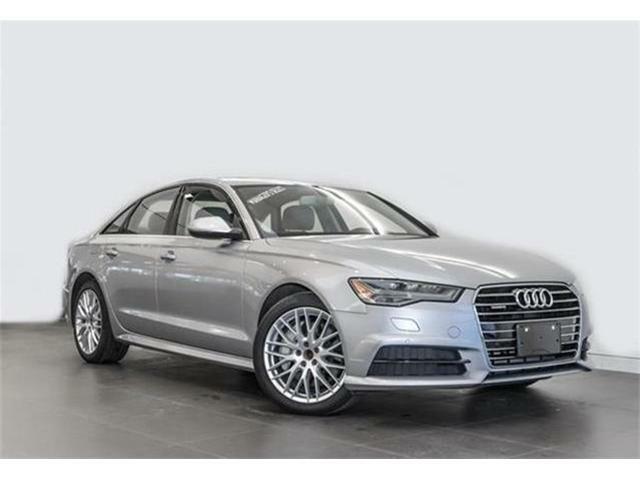 Lease example: 2018 Audi A7 3.0T Progressiv quattro 8sp Tiptronic (STOCK#51380) with base MSRP of $76,650 (including freight and PDI of $0), at 1.9% APR for 48 months with $1,029 tax-in monthly payment. Lease example based on vehicle price of $67,720 (after $3,066 discount applied). $0 down payment, a security deposit of $1,030, and a first-month payment of $1,029 are due at lease inception. PPSA, license, insurance, registration, options, duties, any dealer or other charges and other applicable taxes are extra. See dealer for details. Total lease obligation: $49,472 (excluding applicable taxes and fees). Kilometre allowance of 20,000 kms/year; charge of $0.30/km for excess kilometres. 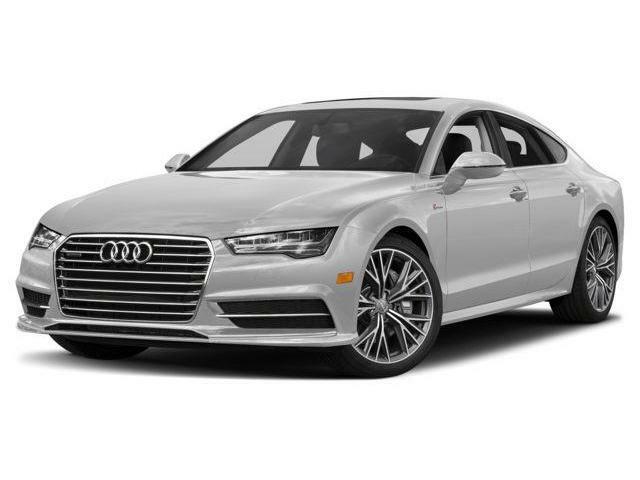 Finance example: 2018 Audi A7 3.0T Progressiv quattro 8sp Tiptronic (STOCK#51380) with base MSRP of $76,650, at 0% APR for 5 years, with monthly payments of $1,276 after $3,066 dealer discount. A down payment of $0 or equivalent trade-in is due at signing. PPSA, license, insurance, registration, options, duties any dealer or other charges and applicable taxes are extra. See dealer for details. Cost of borrowing is $0 for a total obligation of $76,582. Additional fees and levies apply as follows: $100 air conditioning tax, $24 tire levy, $10 OMVIC fee, $51 PPSA fee and $499 dealer admin fee.